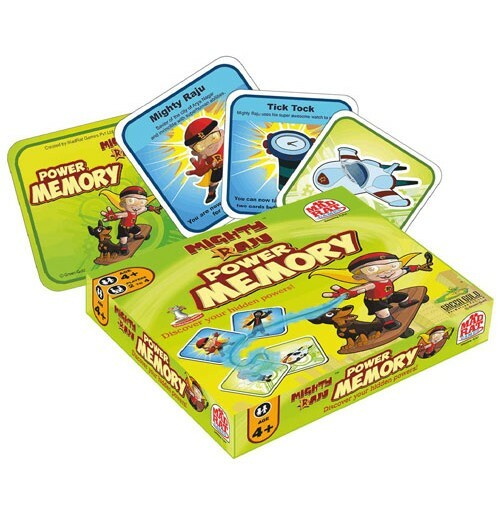 Enhance your kid's memory as he engages in a game to gain incredible Powers, matching the right pairs of cards and becoming the first one to win the maximum cards. 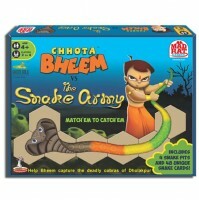 A player makes a match if the two cards turned facing upwards show the same object. 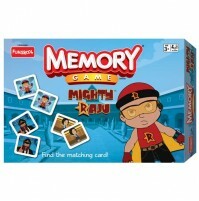 For every successful match, the player gets to keep both cards and continues taking turns until he or she misses. 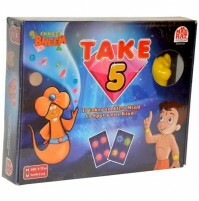 The game continues until all cards have been matched and removed from the playing surface. 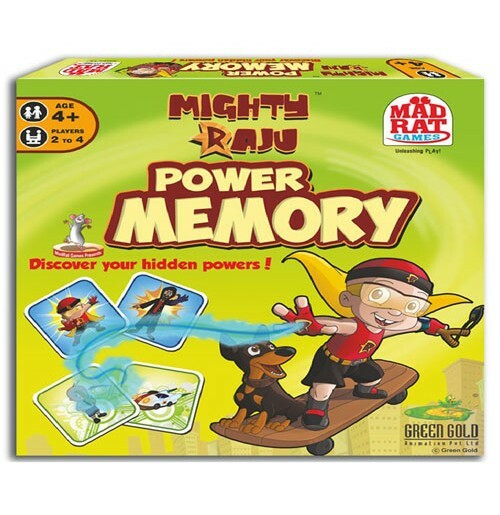 The Power Cards provide incredible powers to your child with special cards like Laser Card, Mighty Raju Card & Wristwatch Card - right from Becoming Invincible, Game Immunity to Freezing Time! 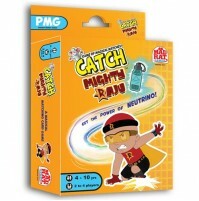 Designed with a contemporary look and feel, children will enjoy playing super heroes with Mighty Raju. 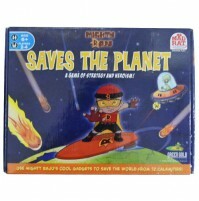 A fantastic way to spend time with friends and family.